"My style is inspired by the beats. I'm really inspired by Dylan's electric period. So, yeah, that's it." 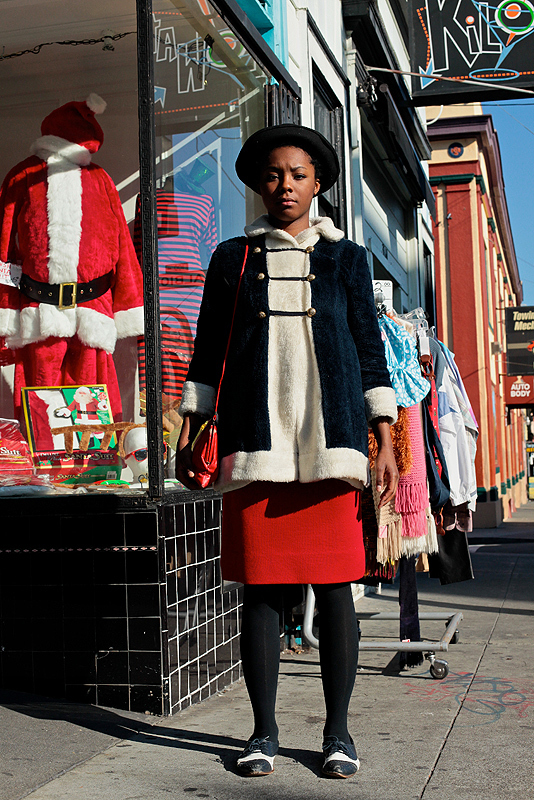 I love her band-esque faux fur coat and the splash of red of her skirt and purse. Her hat is super cute too. 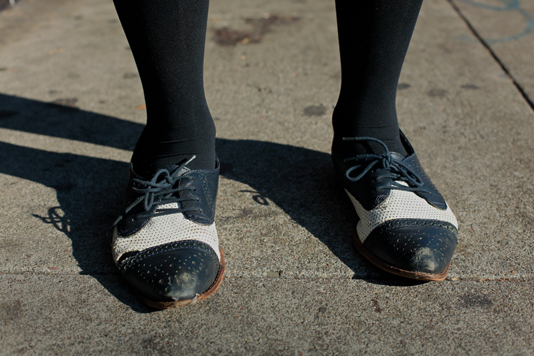 Check out her well-worn perforated oxford-brogues. If she added a little yellow to that outfit she would Mondrian-esque. She's adorable! 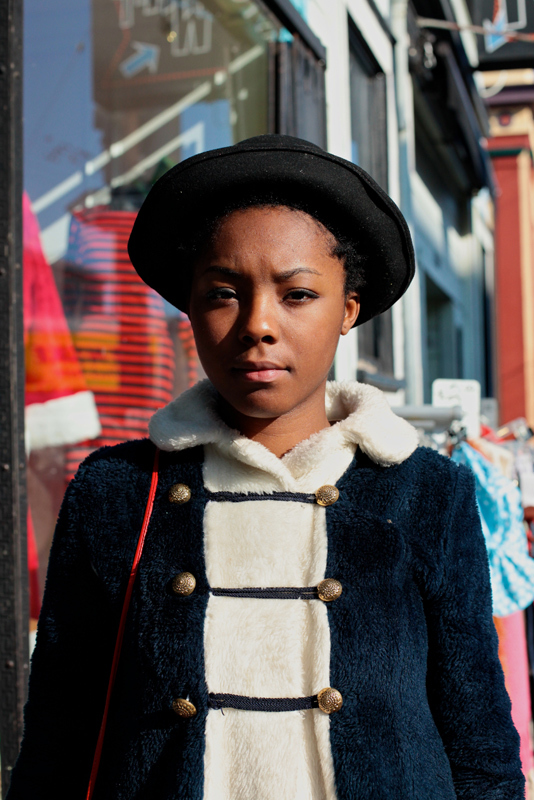 And I love her coat. Cute, the most fashion I've seen so far. Everyone else is kind of schlumpy. Sorry, it's this city. We are not taking it far enough.